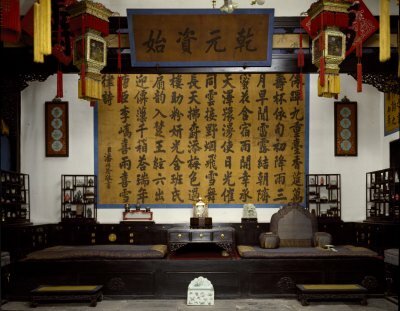 The Hall of Mental Cultivation (Yangxin dian) was built in 1537 and rebuilt during the Qing emperor Yongzheng's reign (1723-1735). The "I"-shaped buildings are divided into two parts - the front halls and the rear halls. 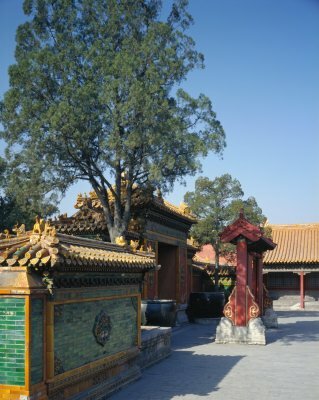 The chamber was moved to the rear halls after the emperor Yongzheng. 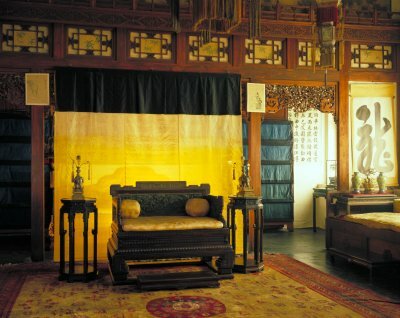 The central rooms and the west rooms of the front halls were changed into the place where emperor handled the state routine affairs,reviewed memoranda and received his officials. 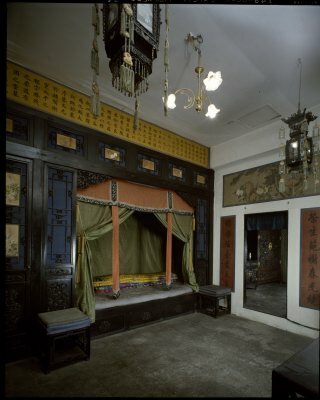 The east room was the place where the empress dowagers Cixi and Cian took charge of the state affairs behind a screen when the emperors Tongzhi and Guangxu were in their childhood. The Qing last emperor Puyi (r. 1909-1911) convinced the "presence meeting" and made the decision to give up the throne after the revolution of 1911 broke out.